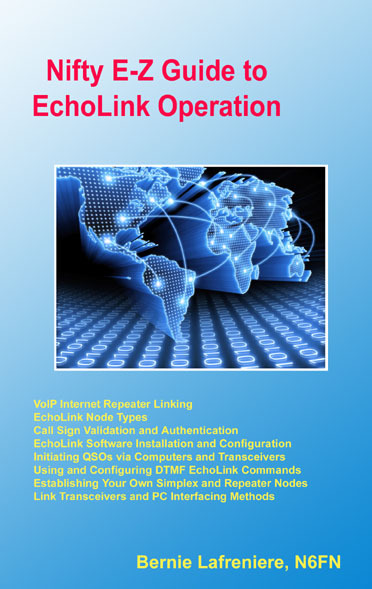 There are several different ways you can use the EchoLink software. You can set up a "simplex link" in your shack, with a VHF or UHF transceiver connected to your PC, to allow anyone in range of your station to communicate by voice with any other EchoLink station around the world. Or, you can use the PC's microphone and speakers and remotely connect to any of more than 2,000 different repeaters that have EchoLink capability. The station-list screen keeps running tabs on who's currently on the system. Stations which have recently come on or off are noted separately. Sort the list any way you like. You can set up any number of "alarms" which will sound when your favorite stations come online. In Sysop mode, EchoLink connects to a conventional FM transceiver using either the custom-designed linking interface boards from WB2REM and W5TXR, or general-purpose digital-mode interfaces such as the RIGblaster from West Mountain Radio. You can even build your own interface from junk-box parts. The board connects to your computer's sound card and serial port. 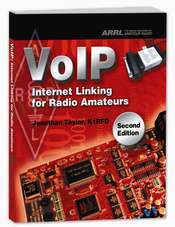 Virtually any type of Internet connection may be used with EchoLink, from dial-up to DS3. Custom settings allow you to tailor EchoLink to compensate for older computers or slower Internet connections. The program includes a number of important security features, such as the ability to restrict access by country, to help comply with your nation's third-party traffic or reciprocal operating rules.